The crew consisted of Nolan, Joe Thornton, Raffi Torres, Andrew Desjardins, and Tommy Wingels. They won’t be bringing home medals during the Olympic break, but they just came up on a new trophy and the memory of a lifetime. — While their teammates are out fishing, here’s a cool shot of the Sharks’ Olympians from the team’s Facebook page. 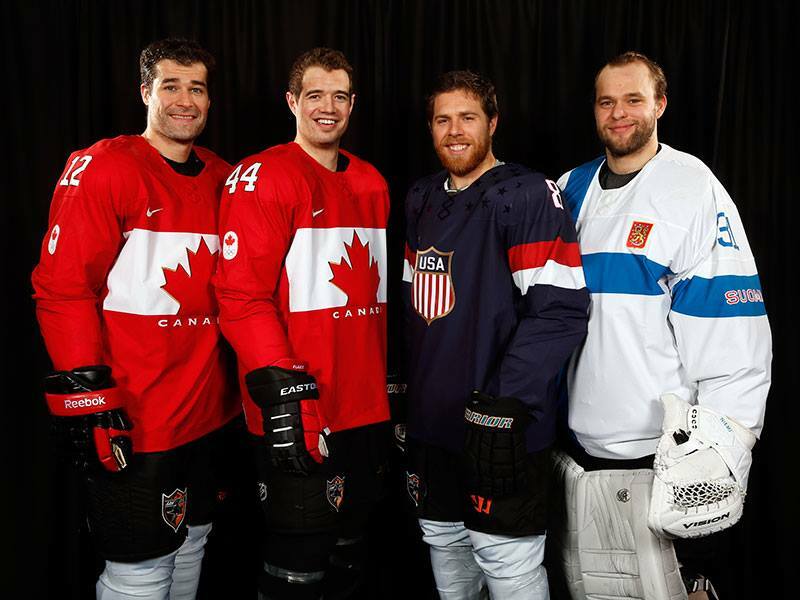 — Here are 10 things you need to know about Olympic Hockey. — The moguls seem much more dangerous this year. Now you know why Hoth is always immediately denied during their Olympic bids. — When asked by a reporter, Matt Lauer said that Vladimir Putin gave Bob Costas pink eye… He was joking (I hope). Here’s the real question: Is Costas’ pink eye more distracting to viewers than Lauer’s grey beard? Former A’s reliever Jerry Blevins remembers when Coco Crisp had double pink eye. Crisp missed a bunch of games as a result. — Eat your heart out, Kanye… This is how you do a wedding proposal. Thanks for raising the bar for the rest of us, Alex Cobb. — Speaking of weddings, A fan invited RGIII to one and got an autographed RSVP. — This dog won ‘Best in Show’ at the Westminster Dog Show.